Well hello there! I think you will be glad you stopped by today. I know I am glad you stopped by today! Have you heard about Jeanne Oliver's newest e-course, Creatively Made Home? Well, you are in for a treat. Jeanne is offering this e-course, starting October 22nd, and it is jam packed with inspiring ideas, photos, videos and so much more. It is a 5 week course all about creating a beautiful home that is not about perfection. It's about making your home a reflection of your heart. Don't you love that? There are 5 creative women behind the course, and they will each be sharing pictures of their homes, tips, recipes, videos, printable pdf's and more. I can't wait to see it all! Jeanne has also asked several other women to share a short video as part of the e-course, speaking about what is most important for them to have in their homes. I was honored when she asked me to be one of those women. Because she's such a sweetheart (if you have ever met her you know how very true it is)......she would like to give 3 of my blog readers free registration to the course! You will need to leave a comment though, otherwise how will I know you're interested? and I'll put you in the drawing. Easy as pie. You can read ALL about it HERE on Jeanne's blog. Here are a few teaser photos of the 5 inspiring women who are hosting the e-course, and the beautiful heartfelt homes they have created. Looks like a little slice of heaven, I think! So, leave a comment. I will draw 3 winners on Friday. I hope you win! Oooh...this would be a fun birthday present. Looks fantastic!!! What a beautiful giveaway! I would love to take this course. I would so love to do this course, fingers crossed. Thanks for the chance! Fabulous prize!! Please add my name to the entries!! Sounds like a wonderful e-course! I would love to win and learn some things from these creative women! What a wonderful giveaway, thank you for your generosity. Please add my name to the entries! Home is where the heart is :) please count me in! So glad to see that you are part of this wonderful group of talented ladies! Congrats! 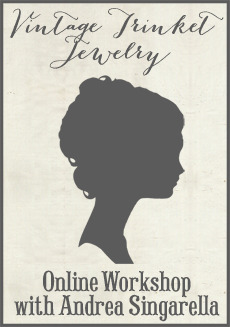 I can't wait for this ecourse and already signed up! Just what I need. A change with help from some very talented ladies would be perfect. Thanks for the chance. I am in desperate need of inspiration and know how! My living room is driving me crazy! I would just love this. My birthday is Friday!